Tomorrow is February 7th. 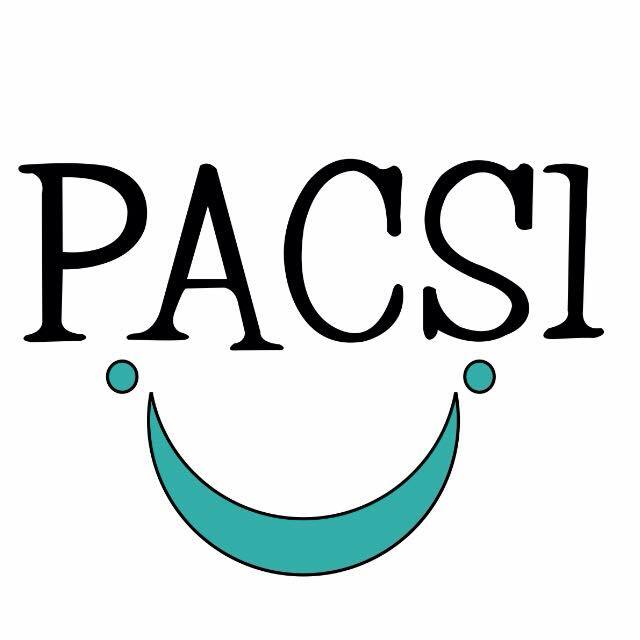 The very first PACS1 awareness day. Feb 7th was chosen as it the day the first child was diagnosed. The first of 20 children. In the World. The parents of children with PACS1 are speaking up and out as loud as we can so another parent does not have to undertake the same journey. So that a parent, somewhere in this big world. will get their mystery solved sooner rather than later. Honestly, the journey is freaking difficult. Worth it, because hey BRIDGET. But difficult. The not knowing was while not killing me, was consuming me. I had to know, I refused to believe the unknown genetic mutation. Through a lovely reader I was given direction and for the first time left the comfort of our local hospital and began anew. When we were first told that Bridget had PACS1 the doctor was honest: she had no idea what it meant. She also gave us some interesting information. 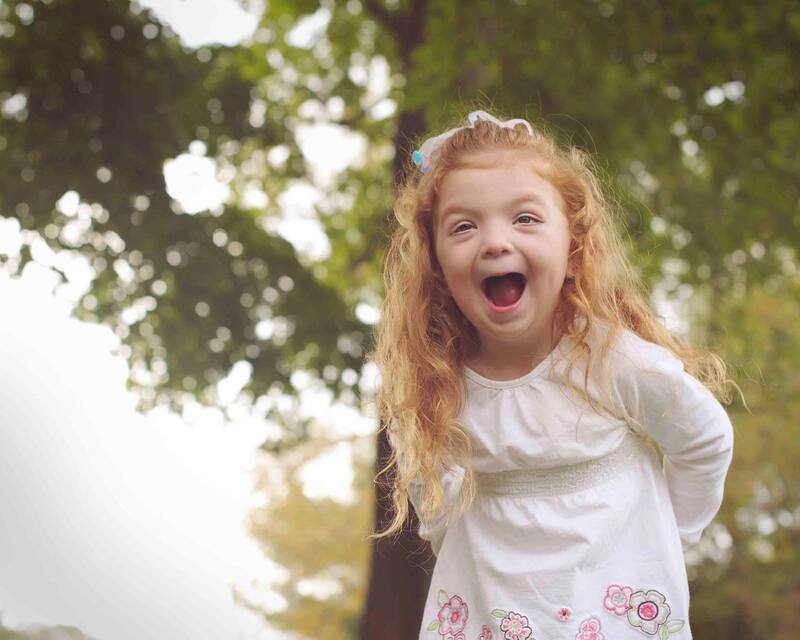 She felt the reason why Bridget hadn’t been tested for PACS1 is that unless a doctor orders Exome or Gnome sequencing or they are aware of PACS1 they would not know to test for it. This is where awareness comes in. A parent who has a child with similar symptoms might bring PACS1 to their geneticist’s attention. A doctor may be at a meeting and think, this sounds just like a child I am treating with an unknown genetic syndrome. 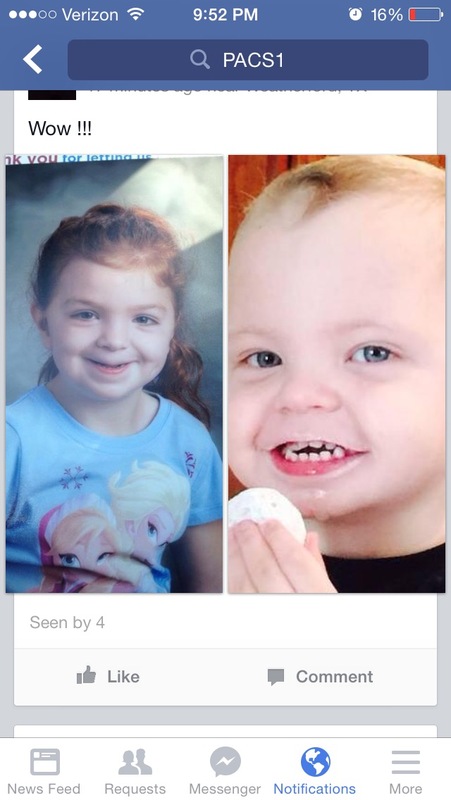 Or they might see a photo and think hey this child looks so similar to patient X they could be siblings. The picture above is Bridget and a little boy named Cooper. When Cooper’s mom first put the photos together we knew that we had the right diagnosis. The lips, the eyes, the ears, in just about everything. When I started reading the medical histories of children with PACS1 I could have taken Bridget’s name and superimposed it on almost every point. It is amazing to me the commonalities of the children. This is why it is so important to make other families and physicians aware of the existence of the PACS1 gene mutation. I am hoping every reader of this post today will share it. I am asking that you join the Facebook event (totally virtual, will not cost you a penny) and encourage your friends to do the same. Lastly, I hope that you remember our journey and on the off chance you meet someone or read a post where a parent is trying to find the answer for her child you remember PACS1. It might not be the answer, but it might put them on a journey and give them hope. Bridget may be one of 20 today, but tomorrow? Let’s hope for that family she is one of thousands. This entry was posted in PACS1 and tagged PACS1 on February 6, 2015 by firebailey. You’re an awesome mom and advocate! Now that you have a dx I’m sure your involvement will help the PACS1 community spread the message loud and clear! I agree every journey at the beginning is difficult…but once we start walking…we will not turn around!